To begin, we did not have to enter through Traitor’s Gate. 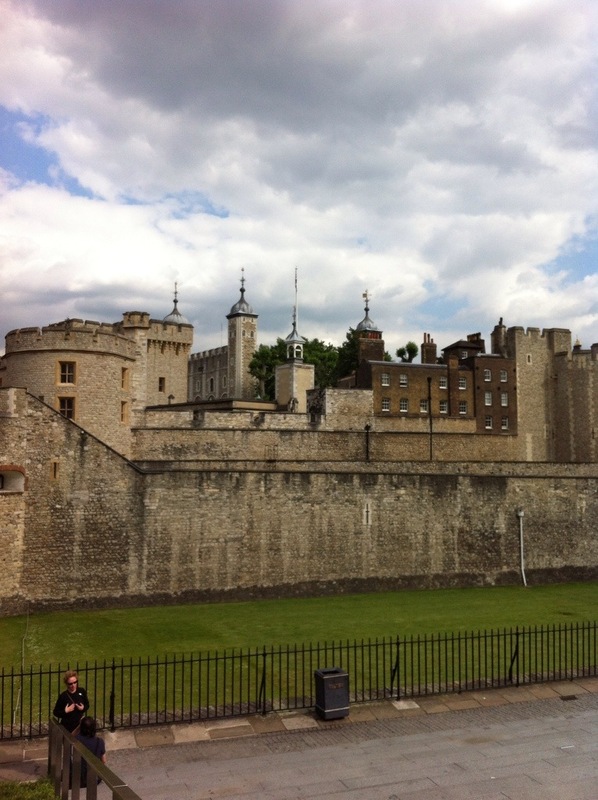 We were there early to view the unlocking of the Tower of London. 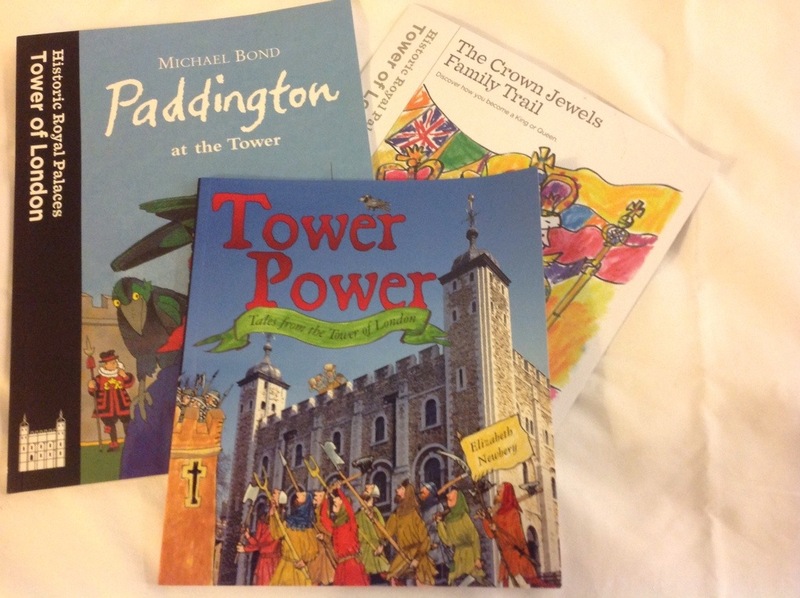 When we picked up our tickets, Boy received an “apprentice knight” pencil, badge and activity book to complete while touring the tower. Stopping first at the Crown Jewels, so we could avoid the crowds, Boy wanted to work out the best way for a jewel thief to get in. Our medieval studies were a bit interrupted by plans for tunnels, armed guards, and explosions. He really enjoyed the armoury, though. 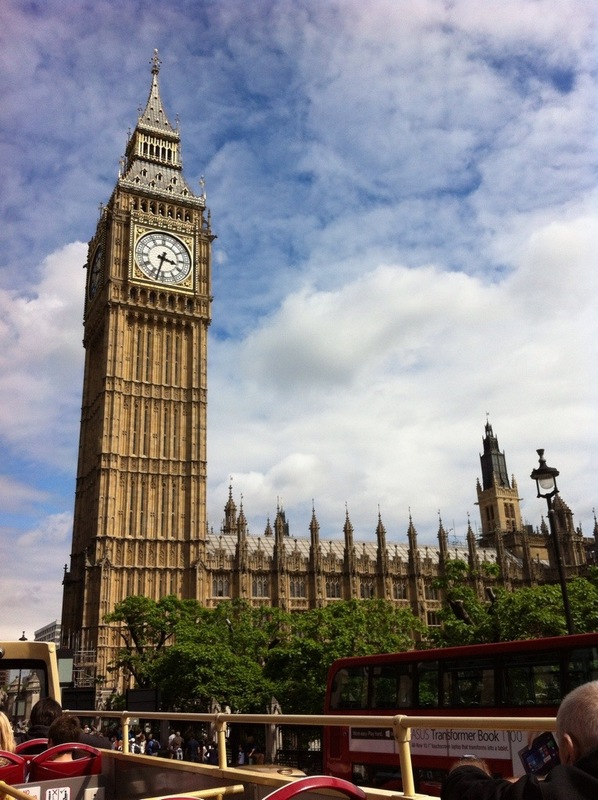 By the afternoon, we said good bye to London, and returned to the airport to leave for Berlin. 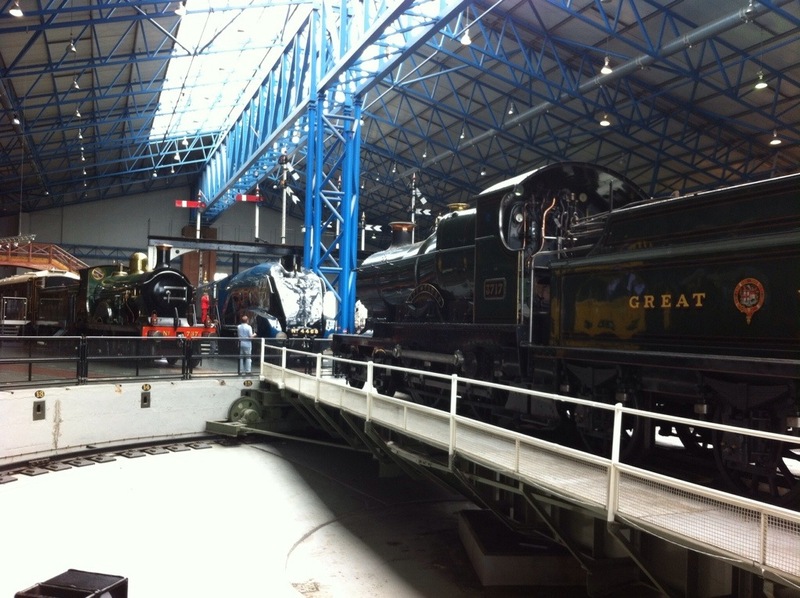 We are well past the Thomas the Train stage, but Boy still gave a small smile at the National Railway Museum in York when we saw the big turntable for moving the engines in the shed. He also insisted on a stop for lunch in the Dining Car cafe. There were several school groups there, and his highlight came on the playground, when there were finally a big group of kids to run around with. My highlight came later in the day. Leaving the boys to watch World Cup, I found myself out at Beer and Beowulf. 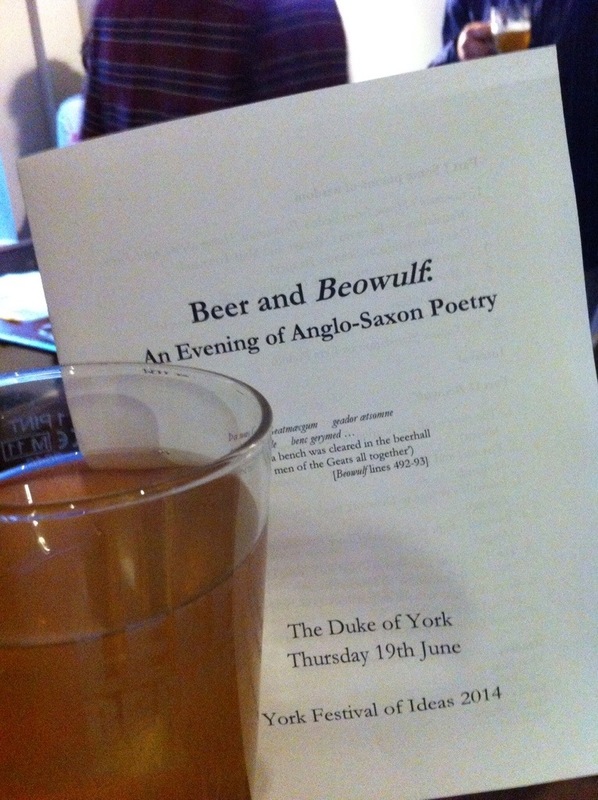 Part of a local summer festival, the University of York English and Medieval studies department organized a reading of Anglo Saxon poetry in Old English at a pub. They packed the venue, had beer brewed from on old Anglo Saxon recipe, and even provided appropriate Medieval feast food. I was not lacking in entertainment. Arriving into York, we walked along the ancient city wall to get our bearings. The town is covered with yellow bicycles and yellow, green and polka dotted banners as the Tour de France will be coming through in a few weeks. All the bakeries have gingerbread men with cycling jerseys and petit fours with little bicycles in frosting. Our activities have been bicycle free, however. 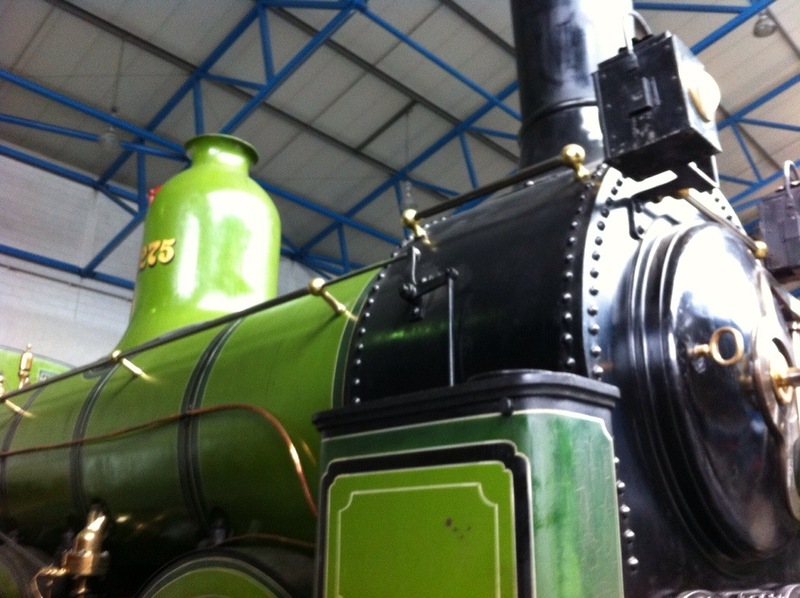 We stopped at the York Minster to hear a choral service, the Jorvick Viking village, and Dig, a children’s archeological activity that covers Roman through Victorian remains in the city. 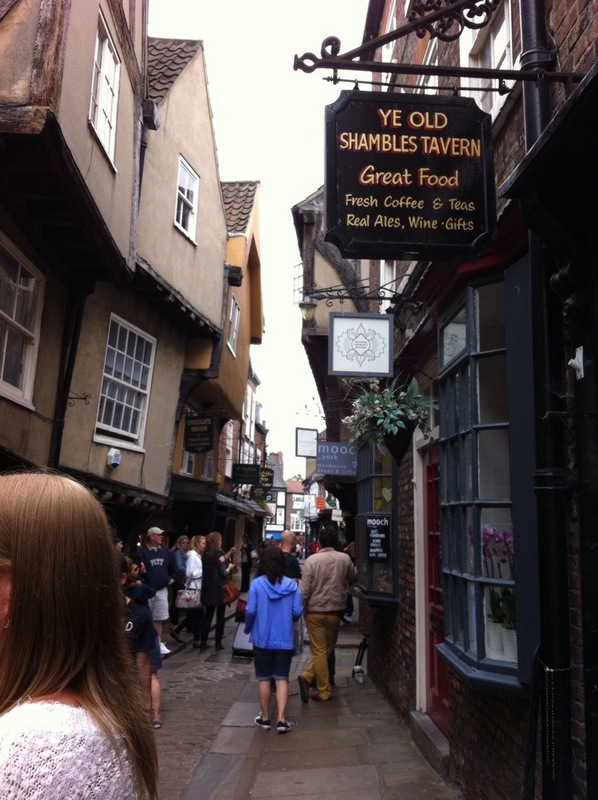 We have enjoyed walking the medieval streets and seeing the shops. The buildings nearly touch overhead, though I am glad the street is no longer historically accurate. They are paved, and muck free. 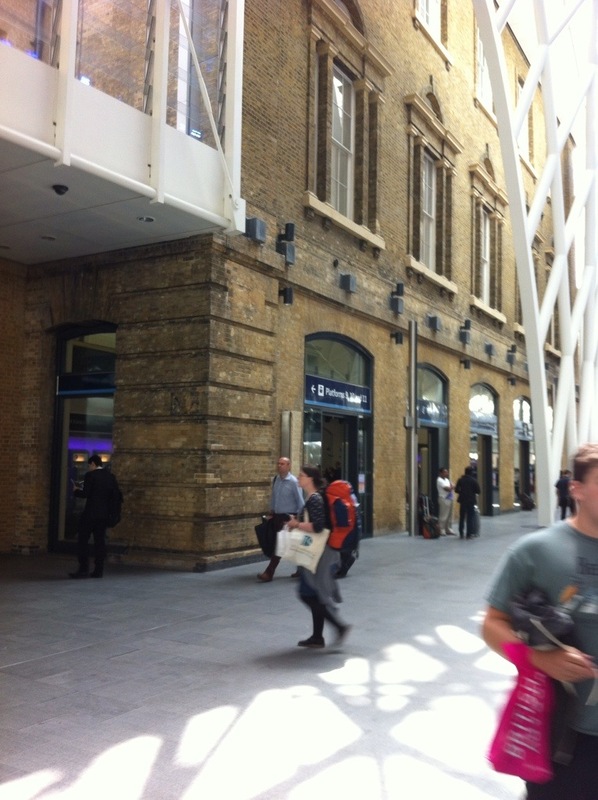 We took the train from King’s Cross station from London to York. Our train left from platform 3, but we had to walk past Platforms 10 through 4, and just between 9 and 10, was a huge crowd of people. Looking to see what the fuss was about, we found the sign, on the bare wall, for 9 3/4. For a small fee, you could take your photo with a wand and luggage trolley, a privilege we skipped. Boy is not a fan of the Harry Potter books,but has read the first one, and he is looking forward to putting the sighting on a postcard to friends back home. Today was a world school field trip day to the British Museum. 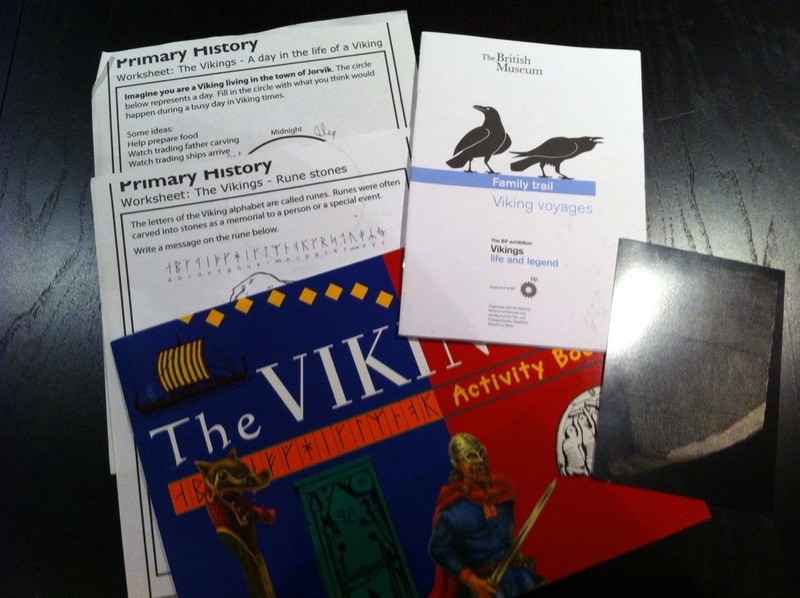 We took in the current Viking exhibition, setting up our travels through Denmark and Norway later this month. The museum had a great kid’s scavenger hunt for the exhibit, though Boy was uninterested. Then we covered the highlights of Ancient History, with the Rosetta Stone, Elgin Marbles, Sutton Hoo burial, cuneiform tablets and Hammurabi’s law code. All enhanced by the soundtrack of “can we go, yet?” He did begrudgingly enjoy the hands on activity on the history of money, but was more interested in spending his allowance at the shop. So we wrapped up early and stopped by the park on the way back for a run around. 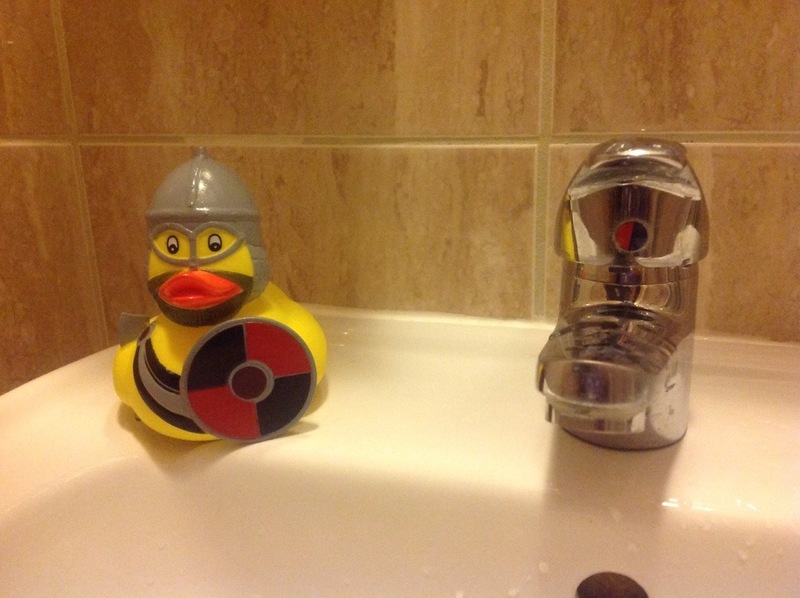 The Viking rubber duck from the souvenir shop was a hit, though. After a full night of sleep, we were all much happier. We spent a quiet morning at the hotel before heading off to see some friends near Richmond Park just outside of the city of London. 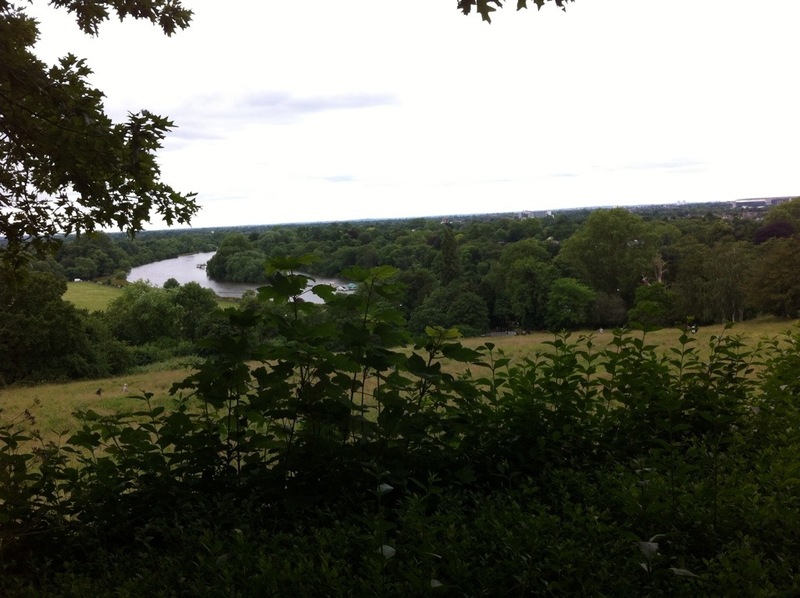 A pub lunch and walk along the Thames took us by a bookshop, where Boy made his find of the trip, so far. 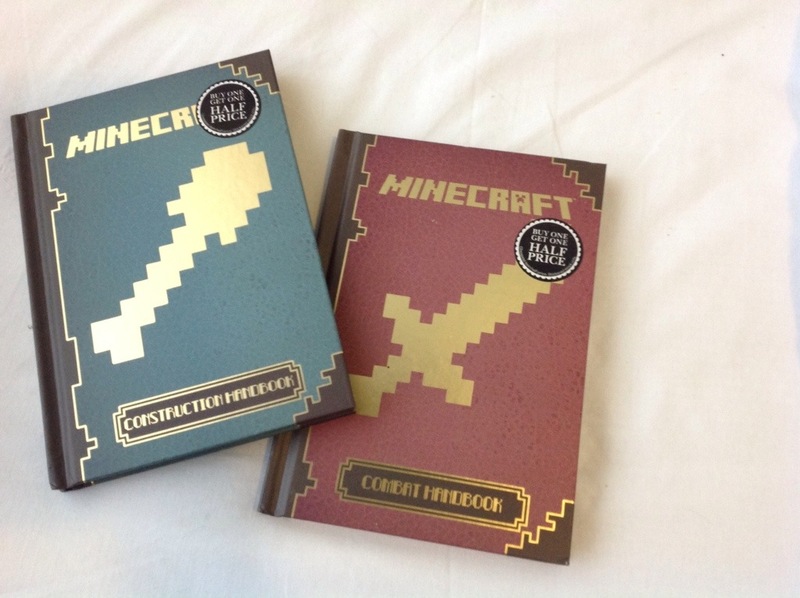 The latest editions of his favorite Minecraft books aren’t due to be released in the US until later this summer, but the newest ones were already out in the UK. All in all, a much better day. Our plane was delayed a few hours leaving New York, so our early morning arrival into the UK became a midday arrival. With all the excitement of the electrical issues, Boy decided he wasn’t going to sleep on the plane to London. The Lego Movie was on the video choices, so he watched the film four times in a row, and then fell hard asleep as we were landing. This meant a tired, cranky child, AND tired cranky adults to get through immigration and customs. Many tears shed. Boy slept on the train to the city, and then didn’t want to pull his suitcase the last block to the hotel. More tears. Too tired to do any significant activity, and deterred by the rain, we decided on a bus tour of London after we were fed and washed. This took most of the afternoon, but did keep us up and moving. Unfortunately, we left our small bag with Boy’s raincoat, somewhere on a bus or a restaurant this afternoon. No amount of retracing our steps could find it. More tears. The biggest tears of the day came later when we unpacked for bed and realized the favorite stuffed animal never got off the airplane.